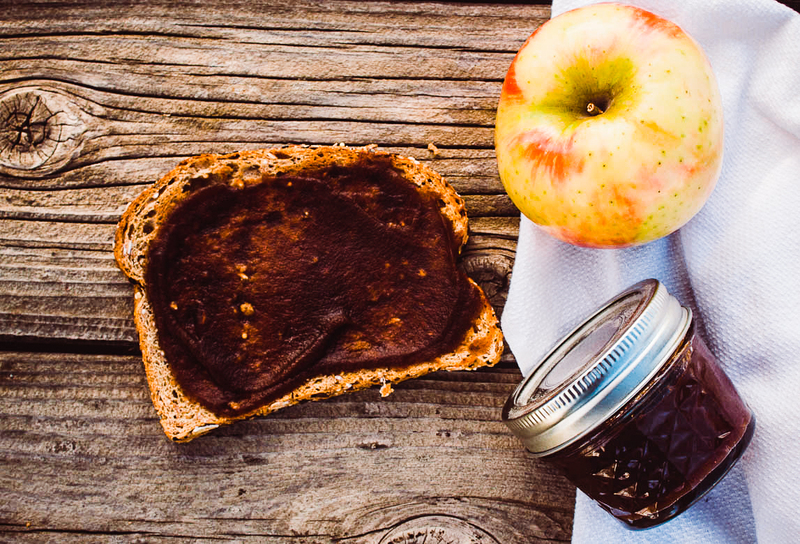 Homemade Apple Butter is hands down one of my favorite treats. For my friends that don’t know, Apple Butter is essentially a smooth apple jam. You can spread it on toast, pancakes or bake it in pastries. This is a gluten, dairy and refined sugar free version of the classic. Each year we go apple picking at the beginning of Autumn and I whip up a few batches of this delicious family favorite with our harvest! I preserve as many jars as possible with the water bath canning method, which you can learn more about here, and use them for homemade holiday gifts! It’s super simple to make and is constantly requested! An added bonus…your house will AMAZING while the apples and spices are simmering in the crockpot! YUM! Place the apples, peeled, cored and chopped in a slow cooker. In a medium bowl, mix the coconut sugar, cinnamon, cloves and salt. Pour the mixture over the apples in the slow cooker and mix well. Cover and cook on low 8 to 10 hours, stirring occasionally, until the mixture is thickened and dark brown. When finished cooking, use an immersion blender (or stick blender) and blend to desired thickness. Spoon the mixture into sterile containers leaving 1/4 inch of headspace. I use mason jars and the water bath method found here, boiling the jars for 10 minutes to preserve the Apple Butter.